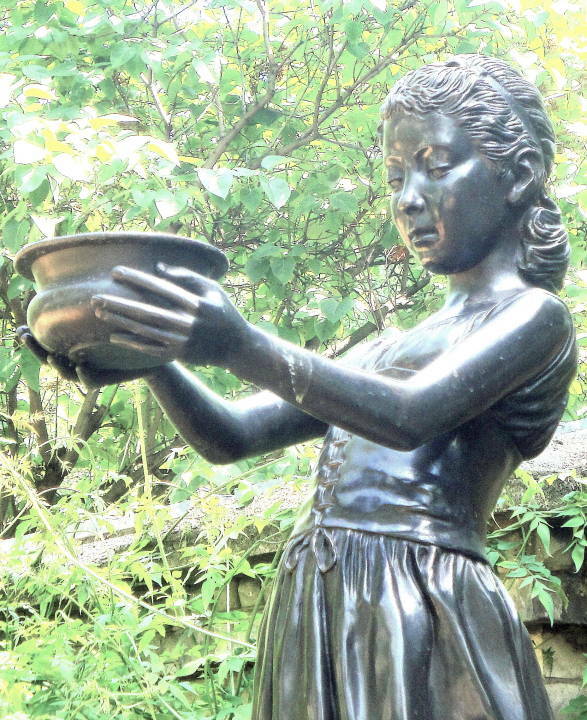 The sculpture crowns a drinking fountain, while, touchingly, the girl is offering a bowl of her own, sometimes described as a birdbath. It is charming piece. 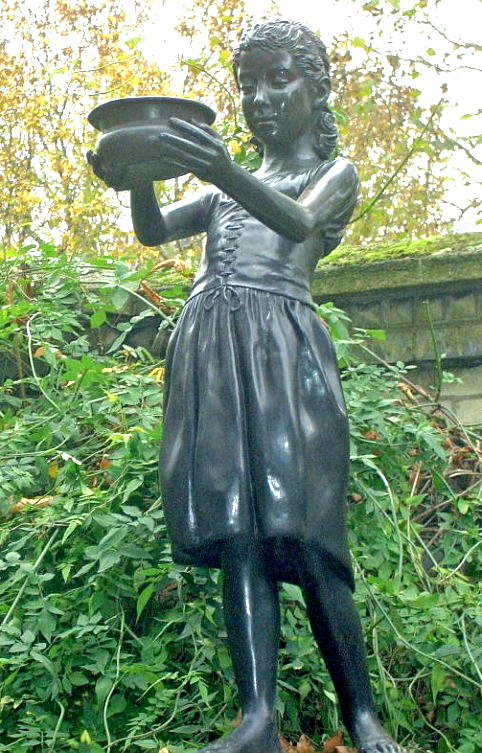 The child's neatly pulled back hair, her lowered gaze and her serious facial expression, and her neatly fastened bodice are all beautifully executed, and there is a fluidity in her stance and hands that chimes with the New Sculpture of the time. 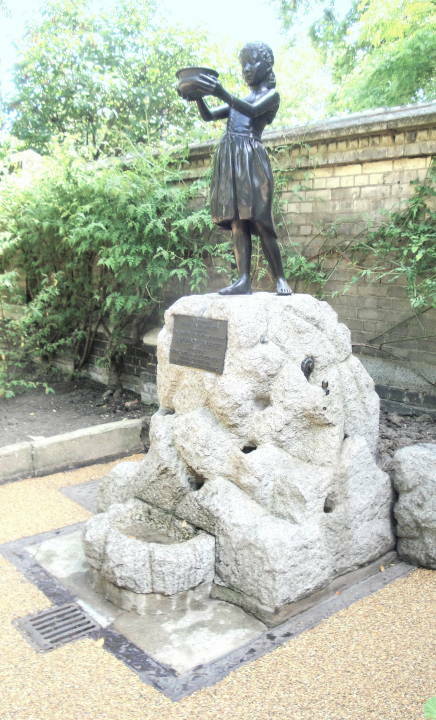 The statue has had to be replaced since vandals sawed it off at the feet in 1970; its replacement is surely a tribute to the sculptor as well as to Lady Somerset herself. Photograph and text by Jacqueline Banerjee 2010. I was thirsty and ye gave me drink. However, this wealthy philanthropist was still very much alive when the fountain was installed (she was born in 1851 and died in 1921), and still working hard to improve the lives of the poor in general and women in particular. Baker, Margaret. London Statues and Monuments. 4th ed. London: Shire, 1995. Bolton, Sarah Knowles. 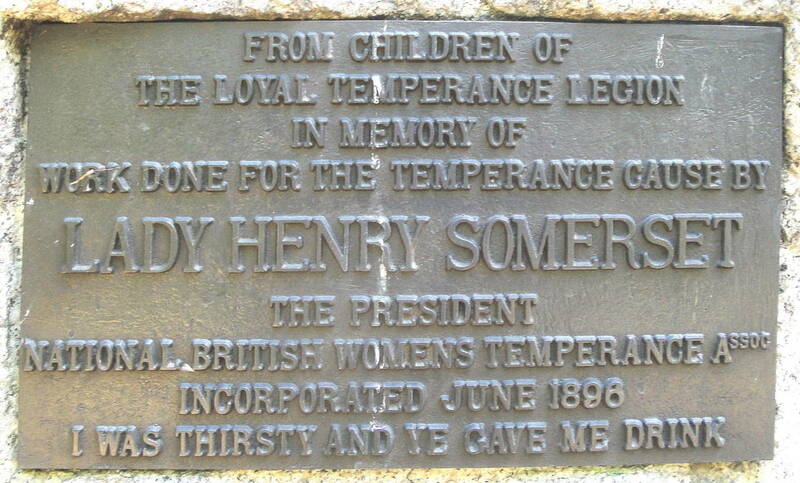 "Lady Henry Somerset". Famous Leaders Among Women. New York: Thomas Y. Crowell, n.d. 250-271. Internet Archive. 10 Dec. 2101. Moore, Alan. Lady Henry Somerset, Frances Willard and Duxhurst" (part of his Redhill and Reigate Local History site). Web. 10 Dec. 2010. Weinreb, Ben, et al. The London Encyclopaedia. 3rd ed. London: Macmillan, 2008.